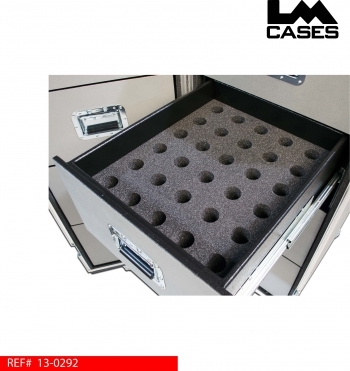 This case was designed for United Sound & Electronics. 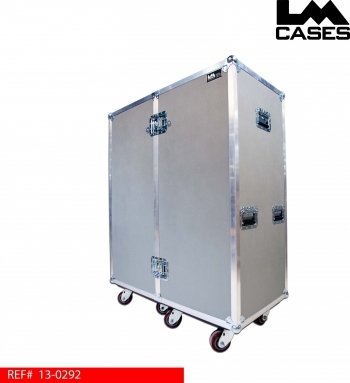 The case is built out of 1/2" plywood and features 8 drawers built out of 1/2" Baltic Birch, the drawers are built into a 1/2" inner shell isolating them from the outer case. 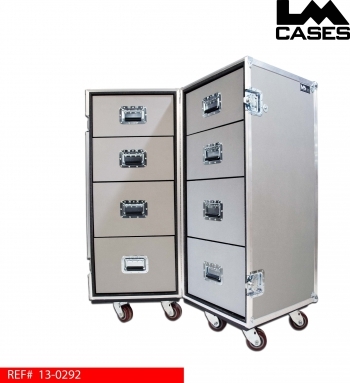 The inner shell prevents the drawer glides from being damaged from pulling on the handles or any impacts. Each drawer is treated with our black texture coating to provide a durable surface for abuse on the road. One drawer features a 30 capacity microphone insert that was CNC cut from Ester foam. The exterior case features deep recessed handles and 8 - 4" x 2" HD Colson casters. Special thanks to United Sound & Electronics!